Human resources managers, regardless of the industry they work in, are hardworking individuals. Their primary role is to forge relationships between staff members in organizations of all sizes, and depending on the goals of the business who employs them, their jobs can entail a diverse range of responsibilities. 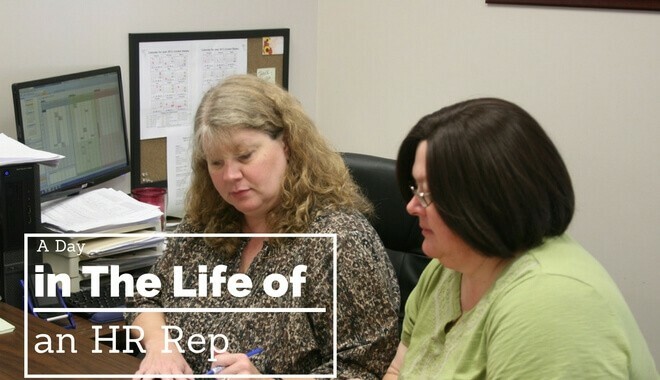 If this is a profession you are considering pursuing, it can be helpful to know what the average workday of the life of an HR manager looks like. Read on to find out if you think you can cut the mustard! You arrive at your office on time. Because of where you live, you’ve already spent an hour in the car commuting to work. Fresh coffee is waiting for you on your desk, along with the morning newspaper, and there are 40+ emails from the day before that you need to read and answer. There is a morning staff meeting to discuss the agenda for the day. A senior software developer has accepted an offer to join another firm, so you must conduct the exit interview. In addition to going through the standard list of questions, you need to find out if there are any underlying issues that have been ignored and need to be addressed. Files, passes, and keys need to be returned to the company, and the handover must be thoroughly documented. You have an interview with a prospective candidate for an entry level management position. The candidate was invited to interview by an on-campus recruiter, and her resume looks promising. During the interview, you explain the firm’s wages, benefits, working conditions, and opportunities for promotion. Fortunately, the candidate seems like an ideal fit, so you take her to speak with a line manager. There are still plenty of emails to answer, and there have been some new updates to federal EEO laws that you need to review. Revisions are being made to the company’s benefits plans. Cuts are being made to the current stock ownership plan for employees, so you are trying to determine how these cuts can be balanced out by additions made to pension plans. Tomorrow, you’ll be making a presentation about your proposed plan to the executive board, but right now, it still needs a few final tweaks before you sign off on it. Your work is interrupted by an employee who has come by on his lunch hour to air his grievances against his supervisor. The supervisor has discussed with you his concerns regarding the employee’s performance at work, particularly in the areas of punctuality and professionalism. Your job is to be a fair and impartial listener and to ask relevant questions. You must make the employee feel as though he is being heard. You offer sound advice in the areas where you know he is struggling and make a mental note to discuss with his supervisor how this matter can best be resolved. It’s time for a late lunch with the company’s CFO. Since you sit on the executive board together, and your children attend the same school, the two of you have become fairly friendly. Lunch is spent discussing sensitive personnel issues and how best to handle employee complaints. With a rise in the number of employees who are becoming unionized, there is a need to negotiate new labor policies for the company. Staff members in your organization are highly valued, and their engagement and loyalty is of the utmost importance to you. It’s time for another team meeting. Even though you have a Benefits and Compensation Executive Manager on your team, this is a meeting you have been personally asked to conduct. Bonus structures for staff members in your company are quite complicated, and there have been numerous complaints regarding inconsistencies in how bonuses are meted. Incentive structures are going to need to be revised, and this is a sensitive issue. You just got out of your meeting. There is a copy of the new training and development manual for new employees on your desk. Four sections have been revised, and two new ones have been added. You need to read through the new manual before you can sign off on it, and it is due tomorrow. This will take two to three hours. You head down to the cafeteria. There is bi-weekly employee meeting. These meetings are held by HR as a means of promoting networking for employees and also as a team building exercise. Tonight, you are having the meeting catered by a local Japanese restaurant, and you’re planning on showing a short, powerful film about how teamwork is beneficial to all involved. You head back upstairs to your office and grab the training and development manual you need to finish reading and the documents you need to finish your presentation for in the morning. You quickly answer a couple of emails and delegate a last minute task to your HR assistant. It’s time to head out the door. You have a lot of work to do at home tonight, and there’s still that hour long commute to deal with!